Searching for a better-for-you banana bread? Try this easy-to-make banana bread recipe that's packed with ripe bananas and wheat bran cereal. Bake 55 min. to 1 hour 5 min. or until toothpick inserted in centre comes out clean. Cool bread in pan 10 min. Remove to wire rack; cool completely. For easier slicing, wrap bread and store overnight. 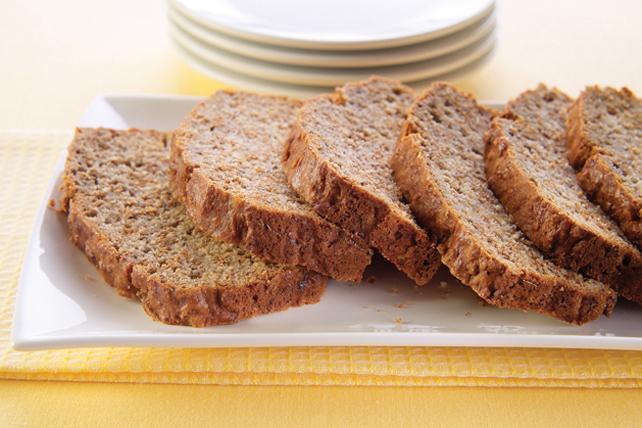 You're sure to "go bananas" for this deliciously moist quick bread! Made with bran cereal, it provides a good source of fiber.